Oliver's ball cap! Comfortable and adjustable to fit. 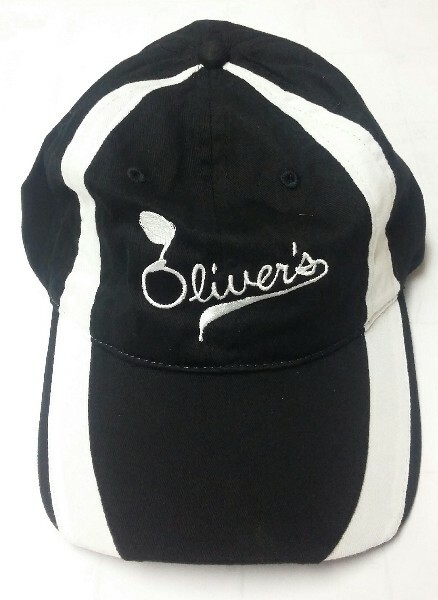 Cloth material in black and white with the Oliver's logo embroidered on the front.